Who Is Responsible for Business Debt? 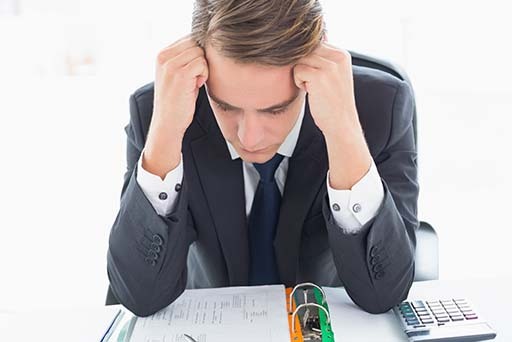 One of the biggest concerns for any business owner is the question of business debt. While everyone running a small or medium-sized enterprise hopes that their company will be successful, there are risks involved and businesses can become insolvent through any number of factors. If the worst happens and your company is faced with liquidation, could you be held responsible for your business’ debt? Let’s examine what you need to know. The most important thing to remember is that the directors of a limited company are not normally liable for debts held by the business. This is different to running your own business as a sole trader – in this case, your company debts are your debts alone and you will be personally liable for them in the event of insolvency. However, even though forming a limited company offers some measure of protection against director liability, there are times during a formal insolvency procedure when the courts can, in fact, hold one or more director liable for company debts. A company becomes insolvent when its liabilities are greater than its assets and it can no longer service its debt and repay creditors on time. As soon as a company becomes insolvent, its directors have a statutory duty to act in the best interests of all the company’s creditors. This legal obligation requires directors to demonstrate that they have done everything in their power – and using all the company’s resources – to ensure creditors receive any payments due. Should a director do anything that causes the company’s debts to go unpaid or even increase, he or she may be held liable for any outstanding amount. This is called ‘Wrongful Trading’. In addition, directors must be seen to not act favourably towards any supplier or creditor. Under formal insolvency procedures, there is strict legal provision for the order in which creditors must be repaid and directors who ignore this can face severe penalties. Should any director of an insolvent company fail to act in the best interests of creditors while continuing to trade, they may be disqualified from acting as director of a limited company in the future. In addition, they could be subject to heavy personal liability, fines and even a custodial sentence for the most serious violations. As well as doing everything they personally can to act in the best interests of the company’s creditors, directors must also ensure that their shareholders, managers, employees and anyone else with a stake in the company does likewise. Once a company’s directors become aware that the business is insolvent, they should seek counsel from a licensed insolvency practitioner as soon as possible. While the insolvency practitioner is required by law to remain impartial and act in the interest of creditors, he or she can provide invaluable advice to ensure directors do not unwittingly break the law and risk future personal liabilities. There are many ways in which a director can be deemed to have acted inappropriately and therefore be held personally liable for company debts. For example, he or she may have used existing company funds for non-business activities or disposed of company assets at less than their market value. Any attempt to obtain funds using fraudulent means to repay creditors can also lead to director liability. This would include providing inaccurate or misleading information, breaching the terms of a personal guarantee or collecting payment for goods and services that can no longer be provided. Continuing to pay shareholder dividends once the company is declared insolvent is also an inappropriate act that could lead to personal liability for one or more of a company’s directors. All those involved in formal business insolvency procedures – including insolvency practitioners, administrators and receivers – are required to ensure that no wrongful trading or misfeance – intentional inappropriate action or advice – has taken place. To do this, they will carry out a detailed investigation of the company’s affairs and the conduct of its directors. Any evidence of inappropriate action will be reported to the Department of Business, Innovation and Skills, which is likely to investigate further. BIS has the power to disqualify directors for up to 15 years and those found to owe money to their company will be required to pay it back. Directors of a limited company who act appropriately and in accordance with the law should not face personal liability for company debts in the event of insolvency. However, if your business is threatened with liquidation, it’s important to seek expert legal advice at the earliest opportunity to ensure you know exactly what to do and how to protect yourself.